Propel Bikes in Uckfield High Street. The shop is now closed. but the business continues and offers mobile servicing. 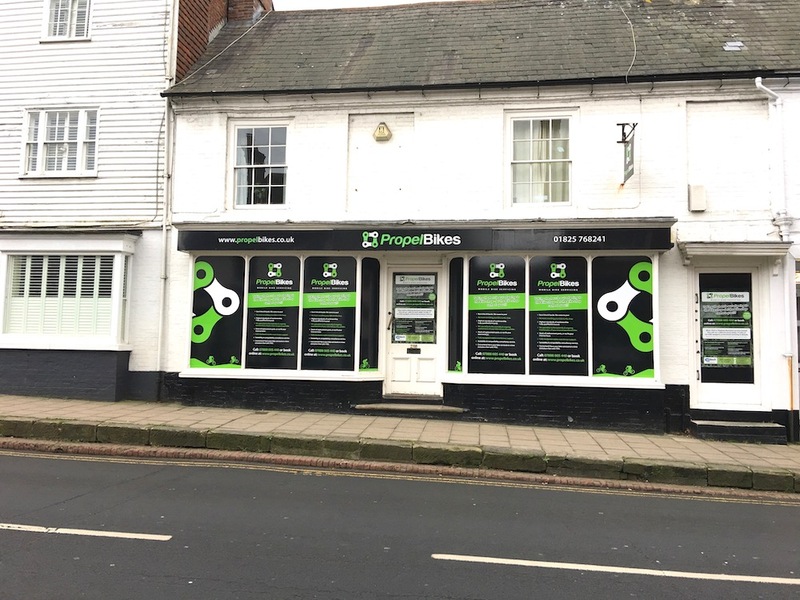 Propel Bikes, the cycle shop at the top of Uckfield High Street has closed, but the business plans to continue by offering mobile servicing. The company’s website says it will operate as an appointment-based mobile bike servicing, upgrade, and repair service, and the bricks and mortar outlet at 216 High Street will be permanently closed. Propel Bikes was opened in Uckfield in May 2014 by Rob Pelham to stock bikes for all types of cycling, accessories and clothing. 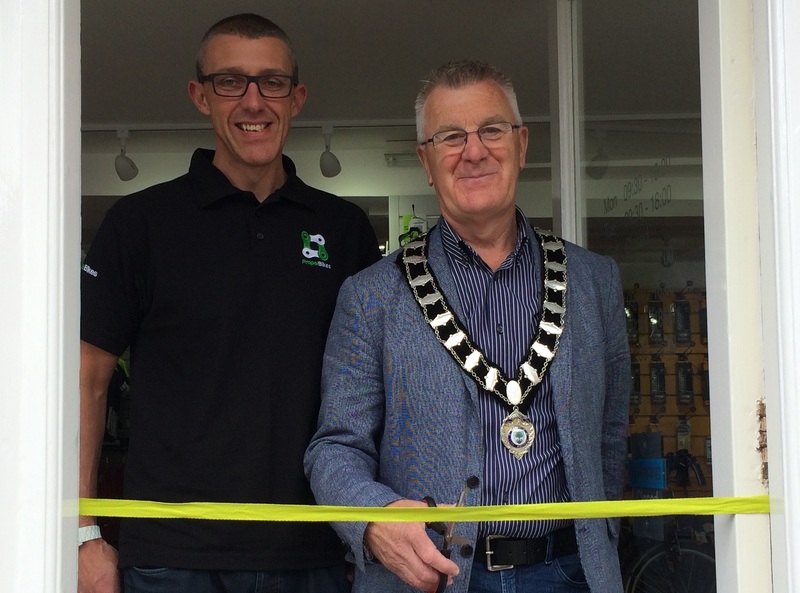 Flashback to 2014 when the then Mayor of Uckfield Cllr Ian Smith officially opened the Propel Bikes shop in Uckfield. Pictured with him was owner Rob Pelham. It also had full workshop facilities and qualified mechanics to carry out servicing and repairs. The shop closed on January 1 and the business is now being run from Newick.